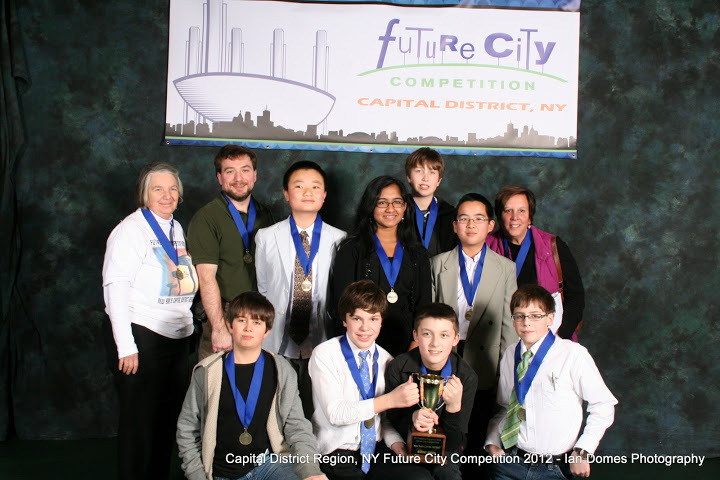 The Academ y of the Holy Names of Albany, New York school won the 2013 Capital District Future City® Competition on Saturday, January 26, 2013 at Hudson Valley Community College with their future city entitled “Crystal Falls.” The Academy of the Holy Names will represent the Capital District in the national Future City Competition in Crystal City, VA during National Engineers Week, February 16-20, 2013. The Future City Competition is a national program sponsored by the National Engineers Week. The mission of the Future City Competition is to provide a fun and exciting educational engineering program for 6th, 7th, and 8th grade students that combine a stimulating engineering challenge with a “hands-on” application to present their vision of a city of the future. This year marks the 20th year for the National Future City Competition with 37 regions participating, effecting over 53,000 students from 1,300 middle schools.